On Friday 5th & 6th Class pupils presented their projects for the Intel Mini Scientist Competition in the hall. Parents, teachers and all of the other classes in the school came to see the great work our senior classes have been doing in Science and everyone was very impressed! Two judges from Intel came on the day and they chose one winning and one runner up project. 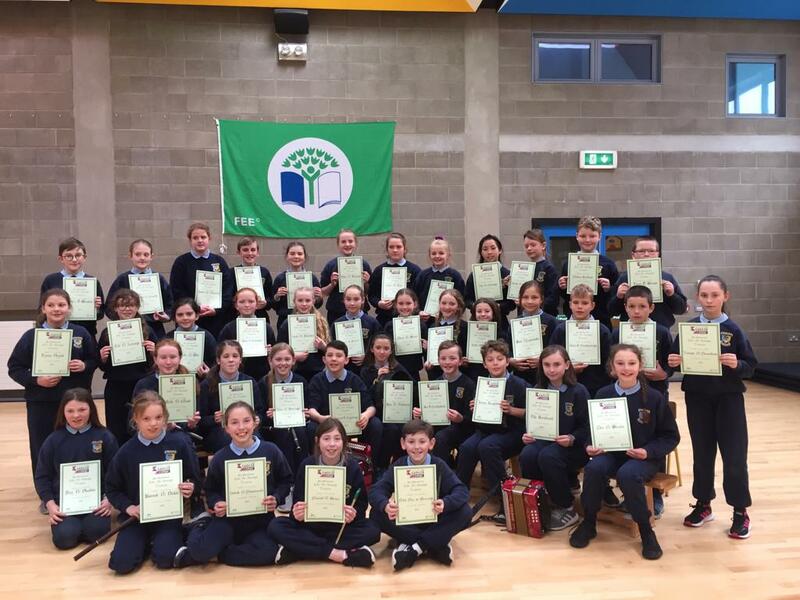 The runners up were from 5th Class with their project on Electricity and the winning project, which was all about sound and the ear, was from 6th Class. The winners now go on to represent Carrig NS in the regional finals. Well done to all of the children who worked so hard on their projects and who were a credit to themselves and the school and thank you to all of the parents, teachers and pupils who came to see their projects on the day. Thanks also to Intel who generously provided prizes for the two winning groups as well as a goodie bag for every child that took part.